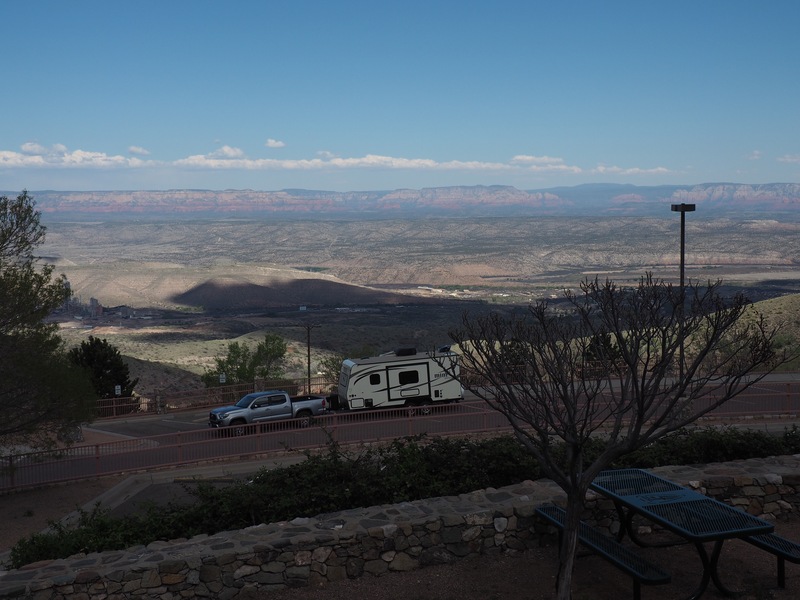 As I paid our entrance fee at Jerome State Historic Park in southern Arizona I heard the couple behind me asking Reg if we were driving the truck and trailer they saw winding along up the road in front of them. They just may have thought we were nuts! 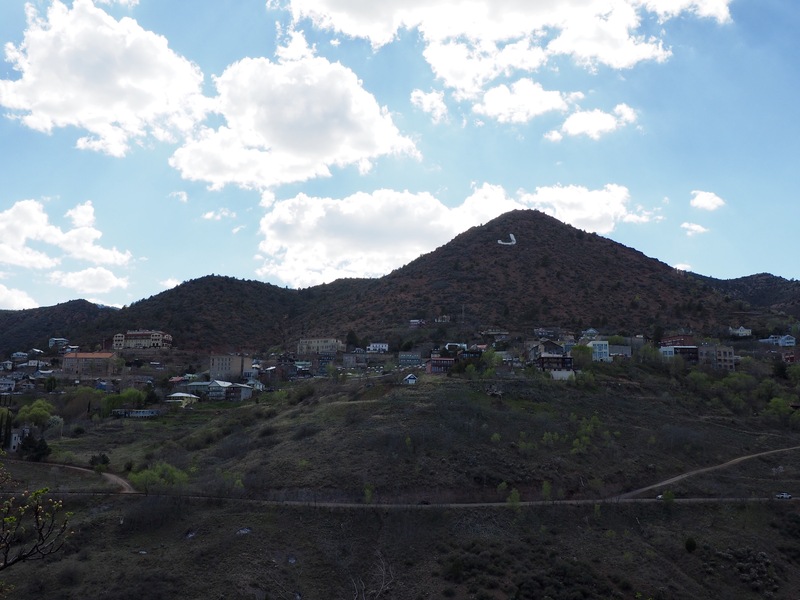 The old copper mining town of Jerome is literally perched on a mountainside high above the Verde River Canyon and accessed via a steep, narrow two-lane road. 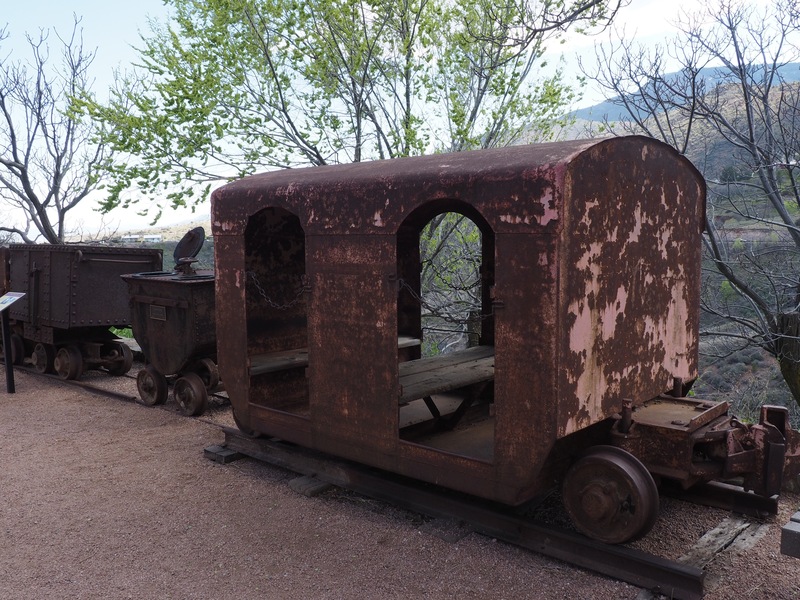 However, the State Park, with its rich history of the local mining industry and the family who owned it all, was well worth the white knuckle drive. 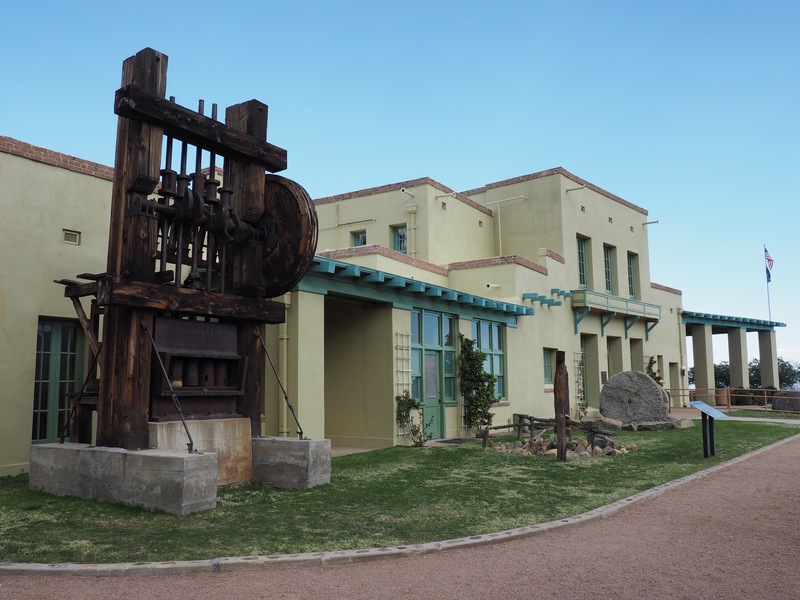 In 1914, the Little Daisy Mine in Jerome produced $10 million dollars in copper, silver and gold. Owner James S. Douglas built his mansion (pictured above) in 1916. It has been refurbished and now serves as a museum for the park, featuring photos, artifacts and more.